News | Marshall Electronics HD Monitors Help Teach Next Generation of Storytellers - NAB 2018 Preview | Marshall Electronics, Inc. | Pacific Video Products, Inc.
Visit Marshall at NAB 2018! We'll be at booth #C6508 in the Central Hall! 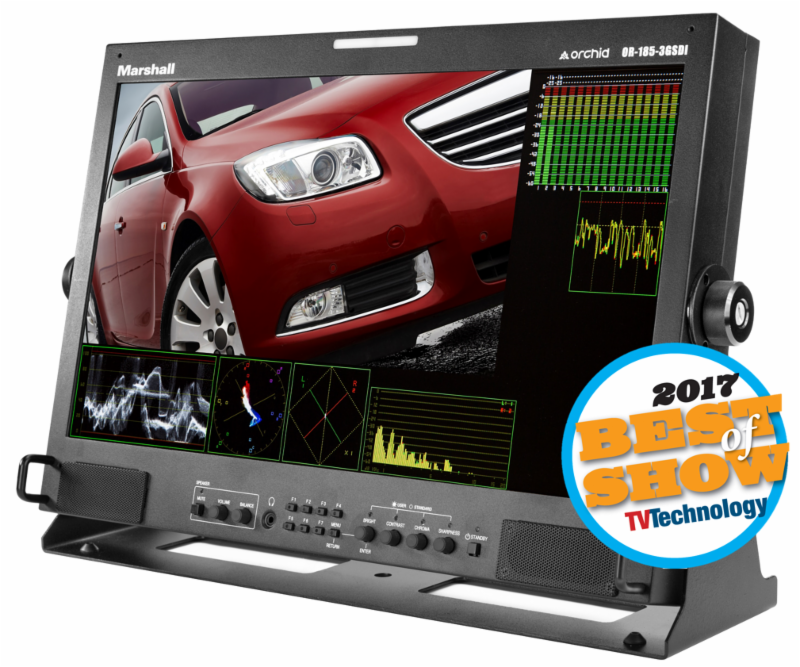 The Marshall OR-185-3GSDI is a master confidence monitor for broadcast control rooms, transfer facilities, and production editing areas, that has a range of professional production analysis tools packed into an 18.5-inch HD panel . Built-in waveform, vectorscope, histogram, and 3D monitoring functions. 16 channels of audio level meters. Winner of 2017 NAB's Best of Show award.